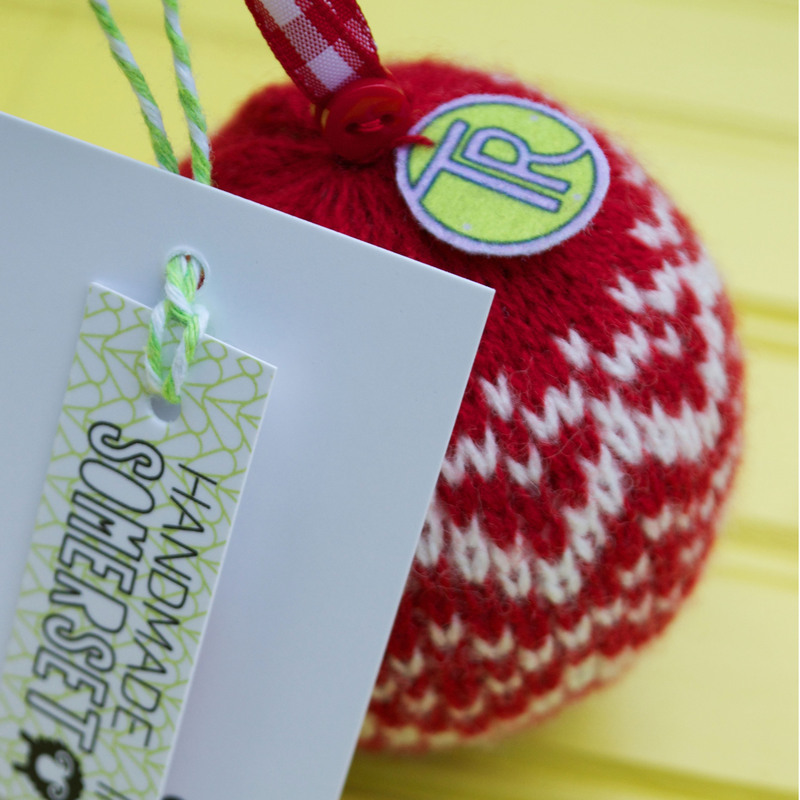 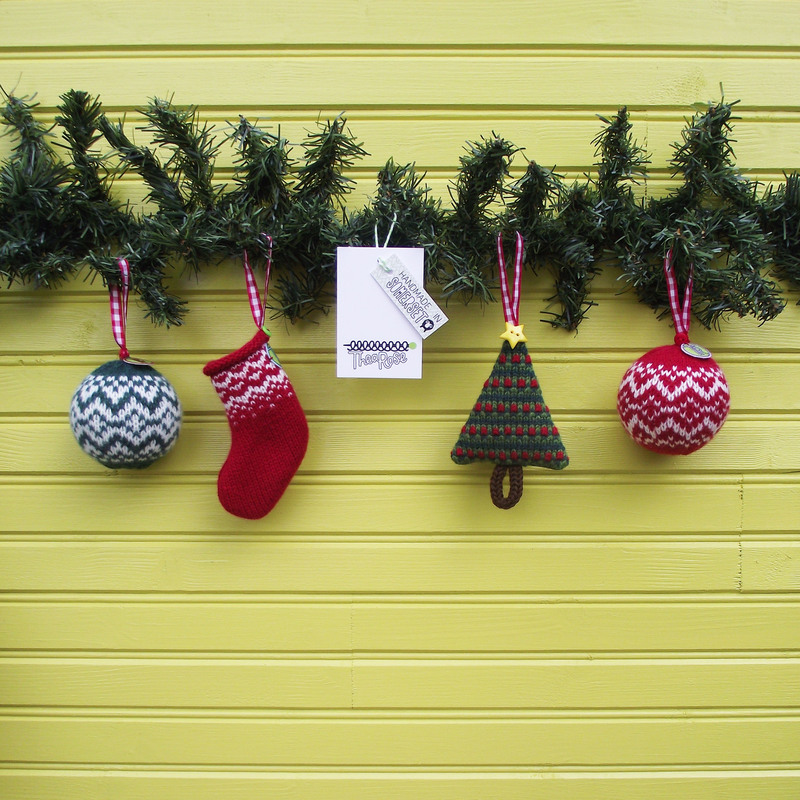 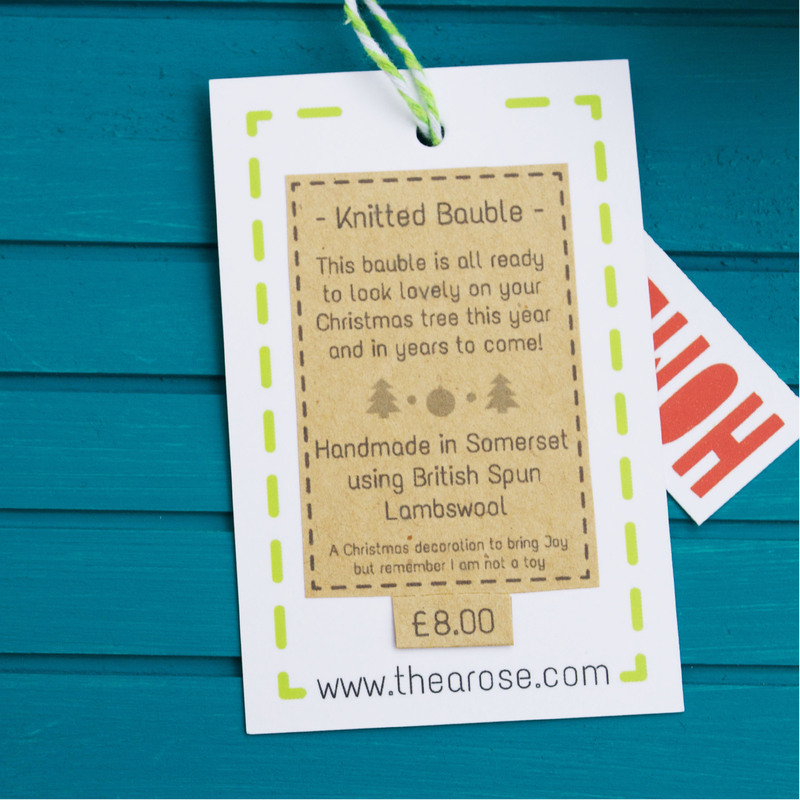 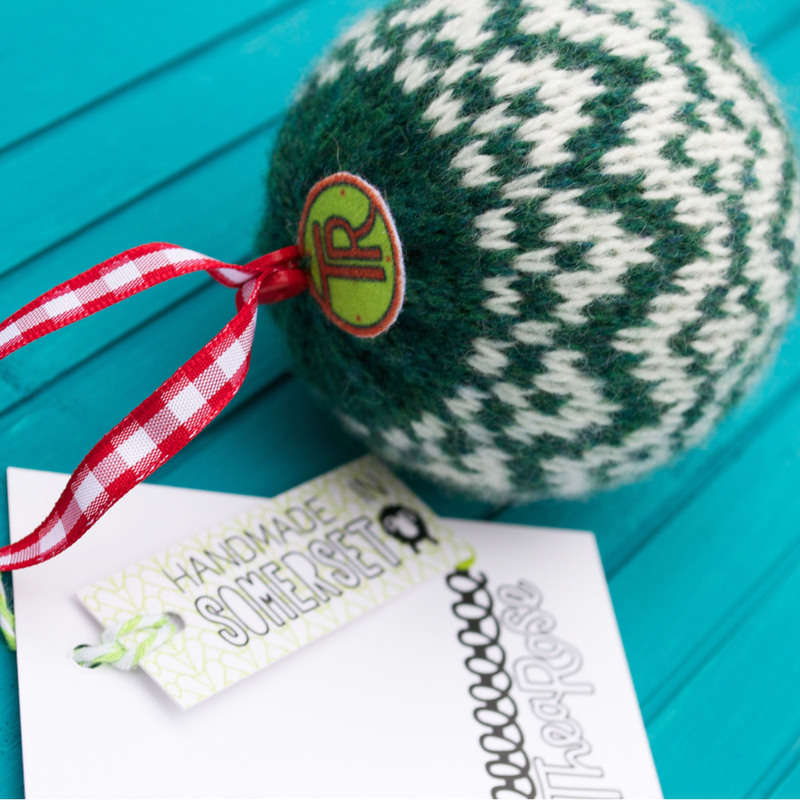 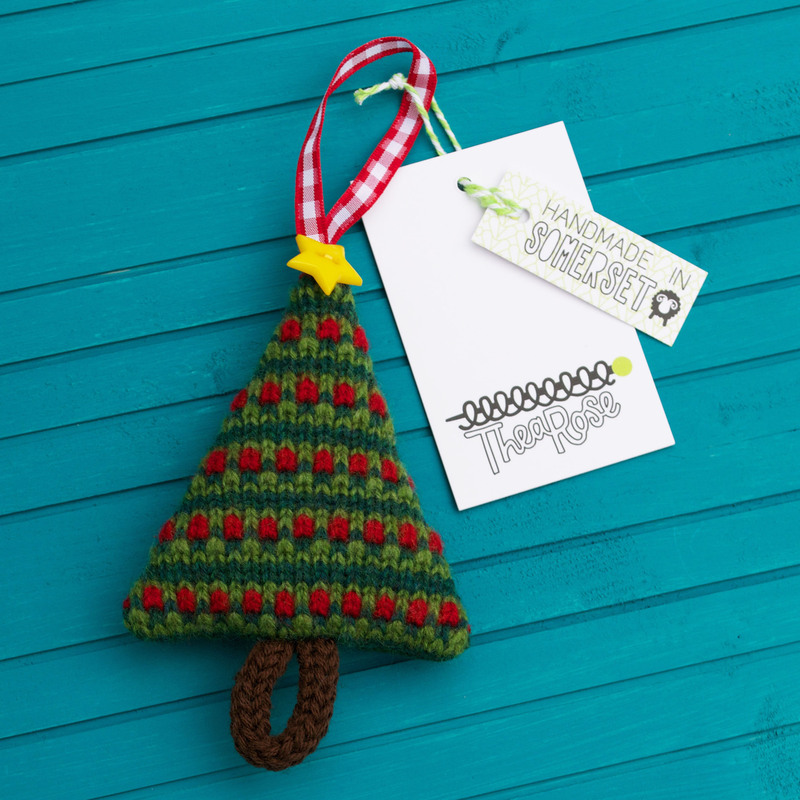 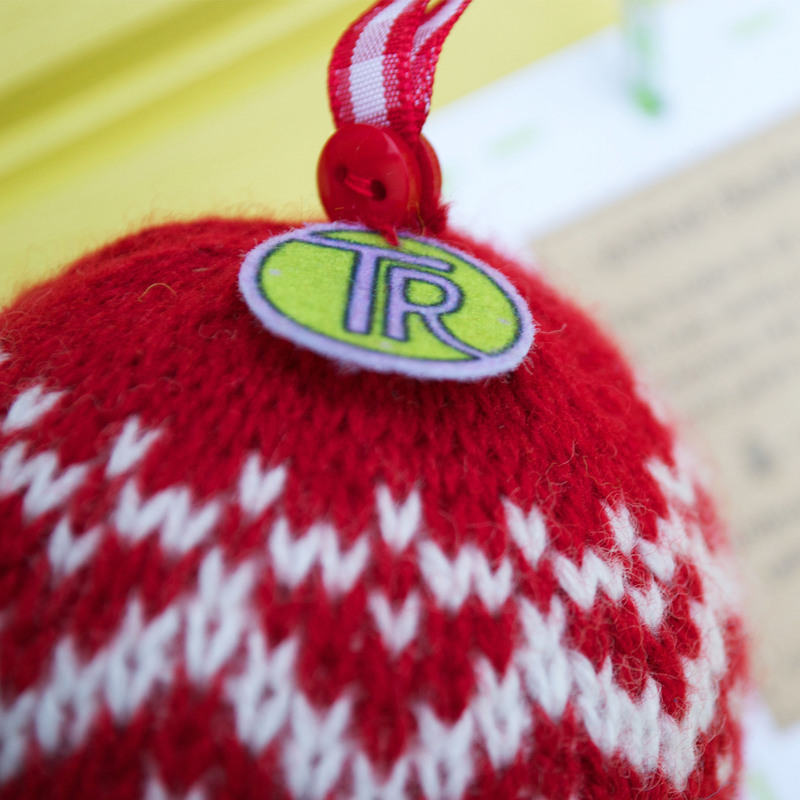 This knitted bauble is all ready to look lovely on your Christmas tree this year and in years to come! 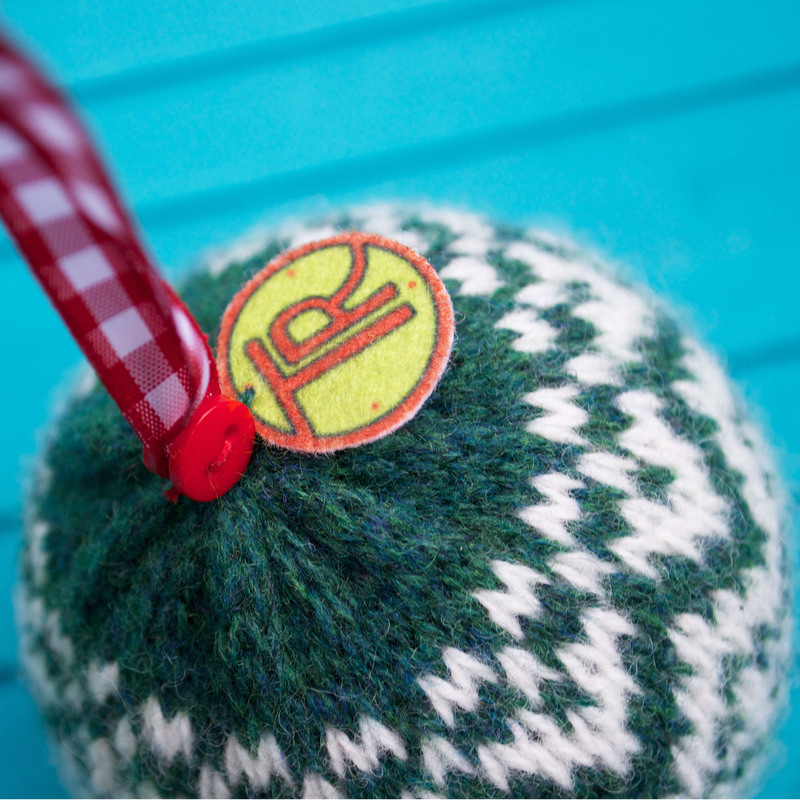 Finished with a gingham loop and button. 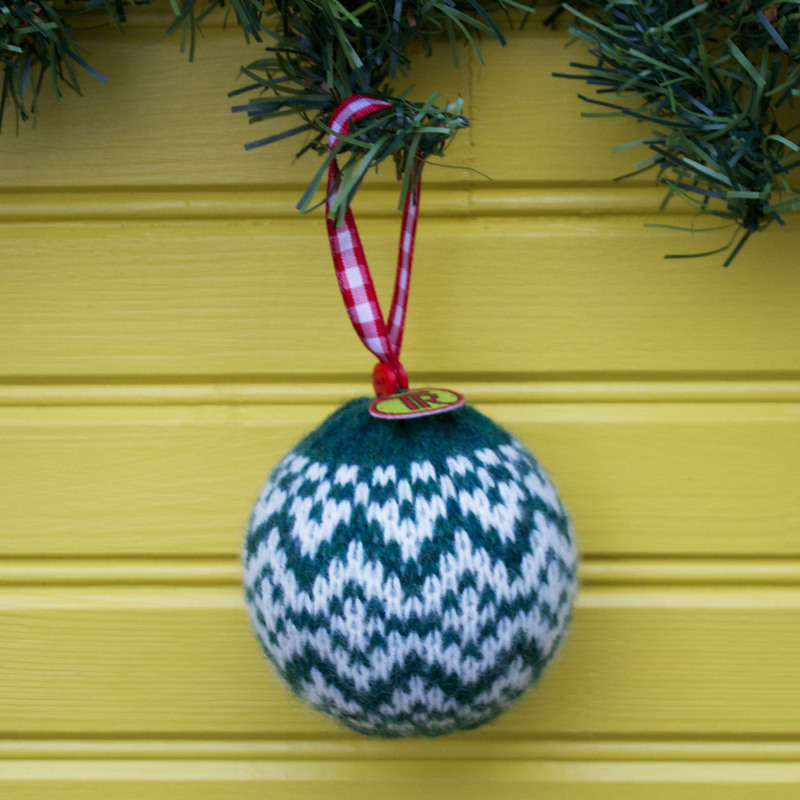 Filled with a polystyrene ball making it ideal for a tree decoration as it is lightweight. 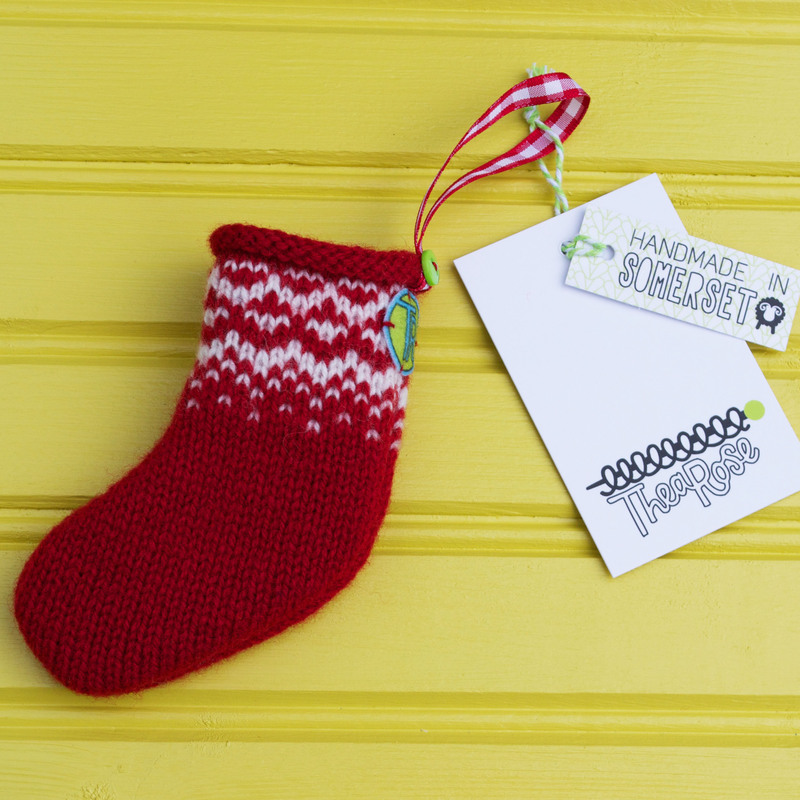 Available in a festive red or a Christmas tree green.